In the eighties restored to a 2-door cabrio (the car was originally a closed 4-door) and equipped with a 11cv engine with 1900cc (original a 7cv engine with 1303cc). Recently re-painted and provided with new upholstery. Drives well but details to be improved. The Traction Avant, French for "forward traction", was designed by André Citroën and Flaminio Bertoni in late 1933 / early 1934. 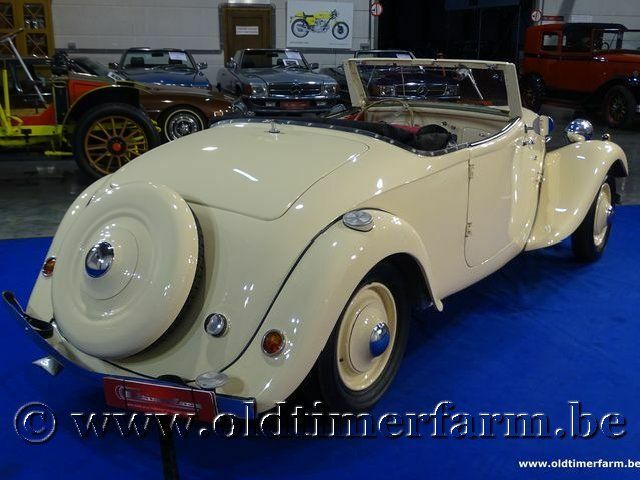 While not the first production FWD car (before Citroën : Alvis, Cord and DKW a.o. ), it was the world's first front wheel drive steel monocoque production car. Along with DKWs 1930s models, the Traction successfully pioneered front wheel drive on the European mass car market. The Traction Avant's structure was an arc-wheeled monocoqued (unitized body). Most other cars of the era were based on a separate frame (chassis) onto which the non-structural body was built. Monocoque construction (also called Unit Body or "Unibody" in the US today) results in a lighter vehicle, and is now used for virtually all car construction, although body-on-frame construction is still suitable for larger vehicles such as trucks. The suspension was very advanced for the car's era. The front wheels were independently sprung, using a torsion bar and wishbone suspension arrangement, where most contemporaries used live axle and cart-type leaf spring designs. The rear suspension was a simple steel beam axle and a Panhard rod, trailing arms and torsion bars attached to a 3-inch (76 mm) steel tube, which in turn was bolted to the "monocoque". Since it was considerably lighter than "conventional" designs of the era, it was capable of 100 km/h (62 mph), and consumed gasoline / petrol only at the rate of 10 litres per 100 kilometres. 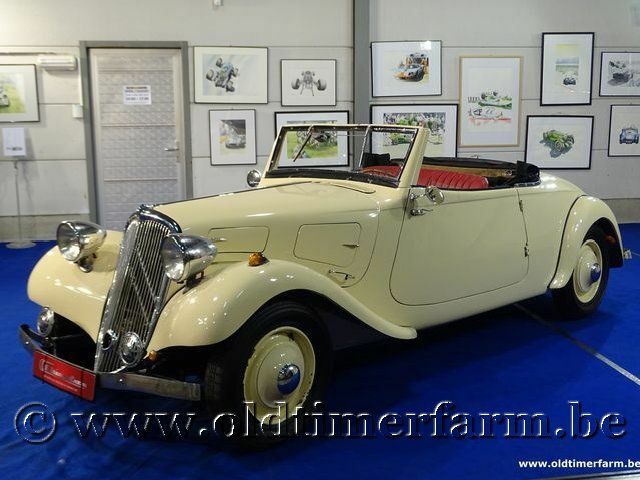 The development costs of the Traction Avant, combined with the redevelopment of its factory, were very high and Citroën declared bankruptcy in late 1934. The largest creditor was Michelin, who then owned Citroën from 1934 until 1976. Under Michelin, Citroën was run as a research laboratory, a test bed for their radial tyres and new automotive technologies. In 1954 Citroën's experiments with hydropneumatic technology produced its first result, the "15H"a variant of the 6-cylinder model 15 with a self-levelin, height-adjustable rear suspension, a field trial for the revolutionary DS released the following year.